Large 6L cooking bowl for one-pot wonders. Use this pressure cooker to lock in flavour and create delicious one-pot meals the whole family will love. 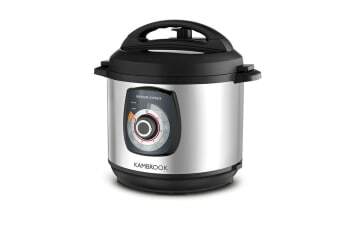 For everything from perfect roast dinners and succulent stews to silky risottos and flavoursome soups, the Kambrook Express Pressure Cooker helps you create quick, delicious meals with minimal mess and fuss. 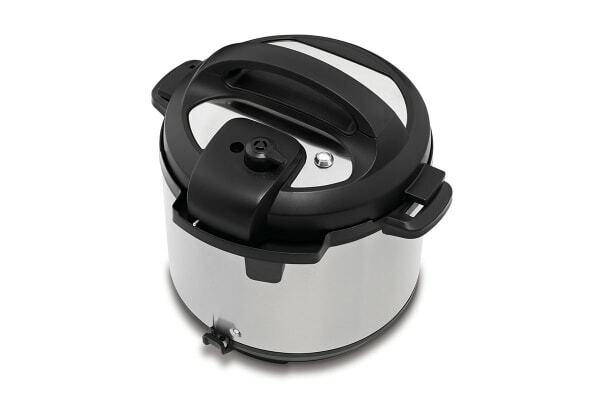 The saute function lets you saute meat and vegetables to lock in flavour, then simply select your preferred pressure setting and let the Express Pressure Cooker do the rest. Easy to use control dial with suggested cooking settings.